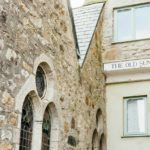 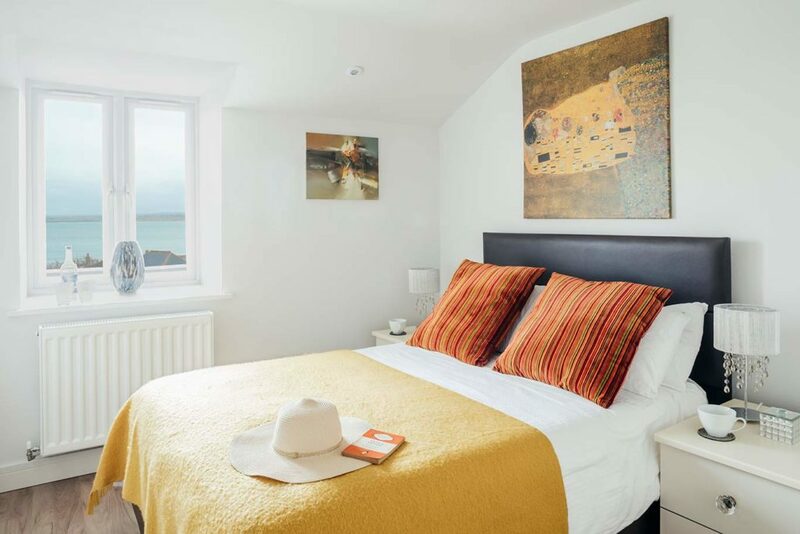 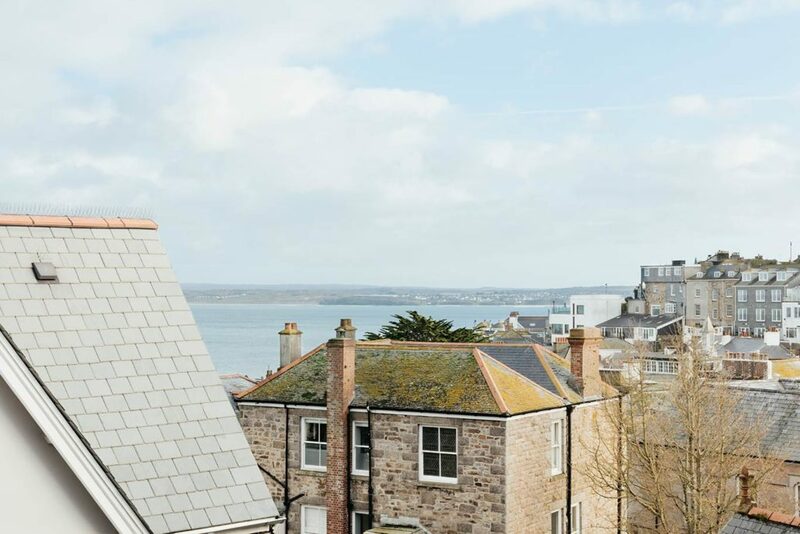 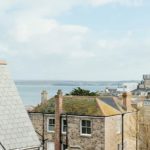 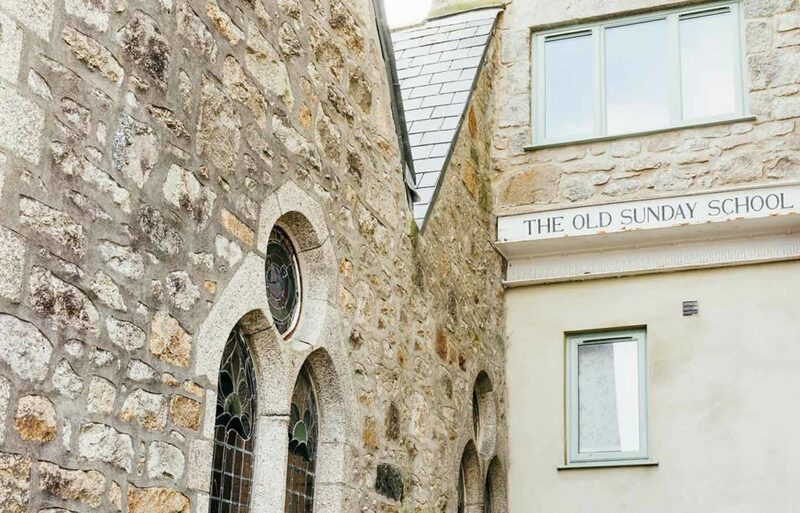 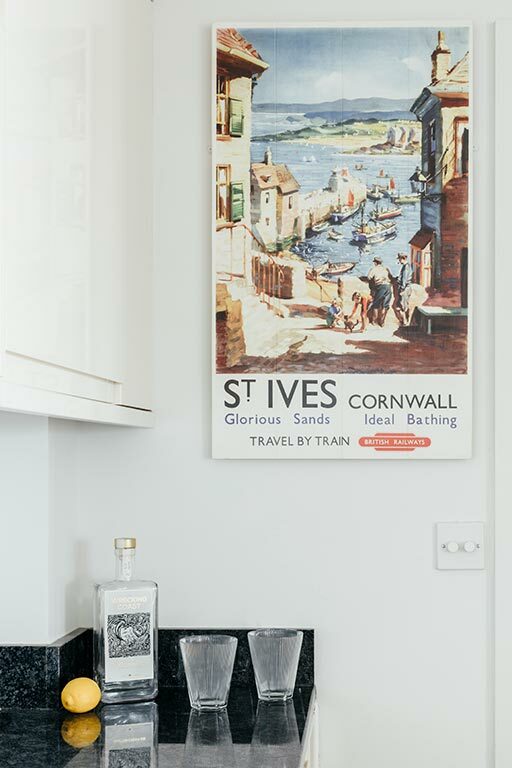 Perched high in the centre of St Ives you’ll be able to marvel at the church tower and the bright blues of St Ives bay. 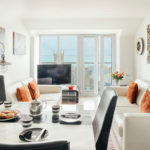 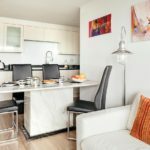 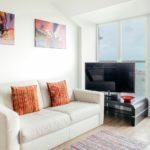 You’ll be steps from the heart of town and beaches yet able to enjoy the perks of a luxury two bedroom apartment. 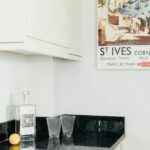 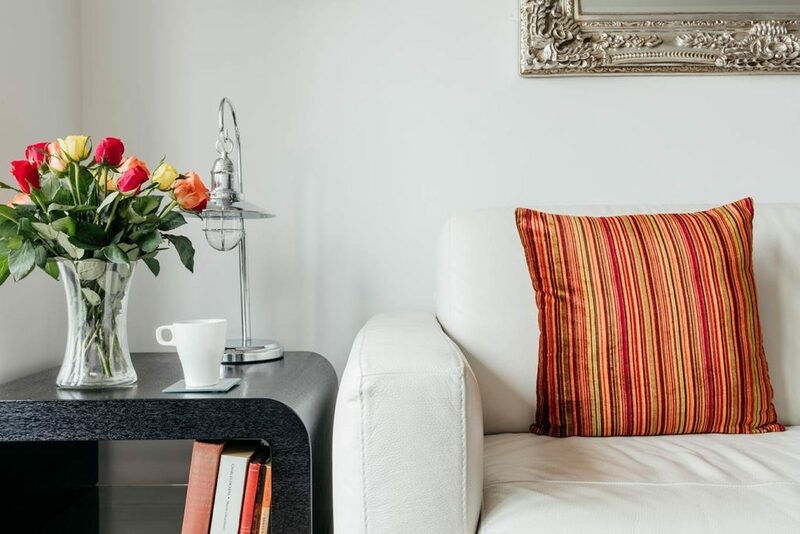 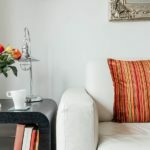 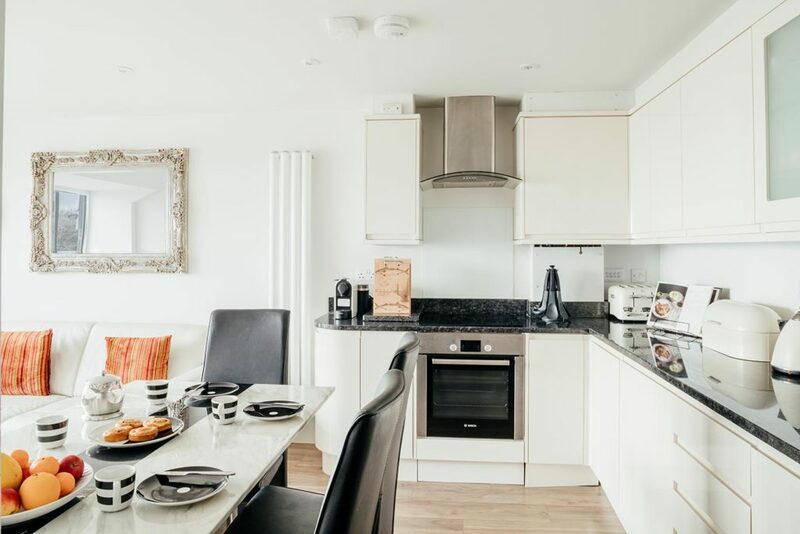 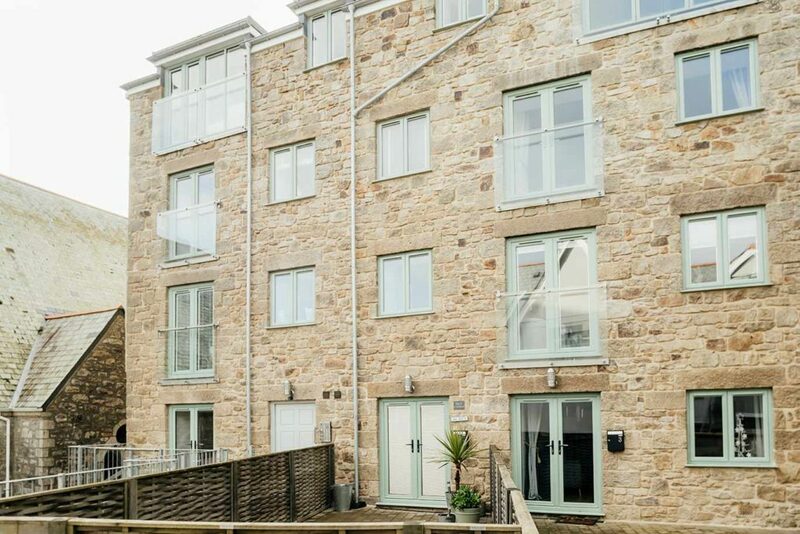 10 Sunday School Court is a top floor two bedroom modern apartment with parking in a prestigious development tucked away from the hustle and bustle of the main streets. 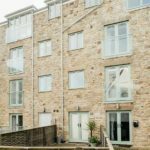 Accommodation comprises of entrance hallway leading to the open plan living area featuring Juliette balcony with stunning views. 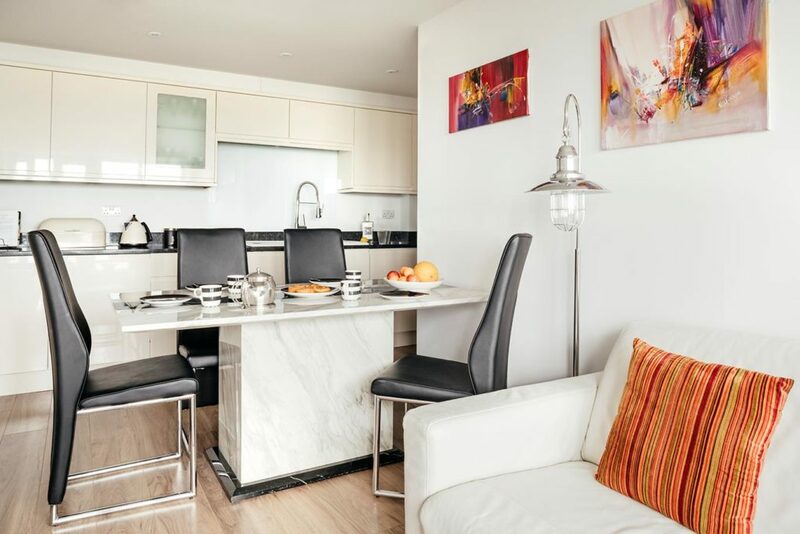 A lounge area, kitchen and dining table. 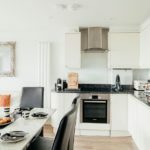 The kitchen is well equipped with quality appliances, granite work tops and plenty of utensils, cutlery and crockery for meals in. 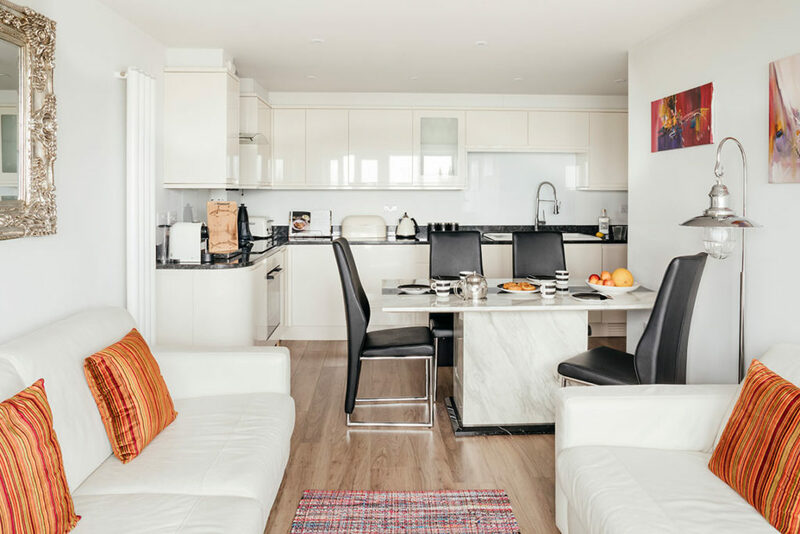 The dining area seats four around an impressive marble table with the soft white leather sofas adjacent. 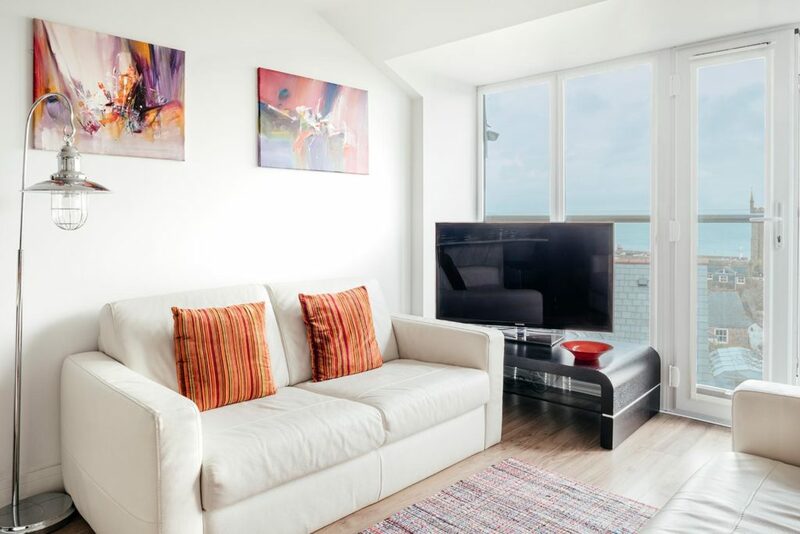 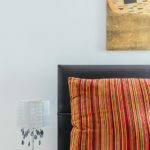 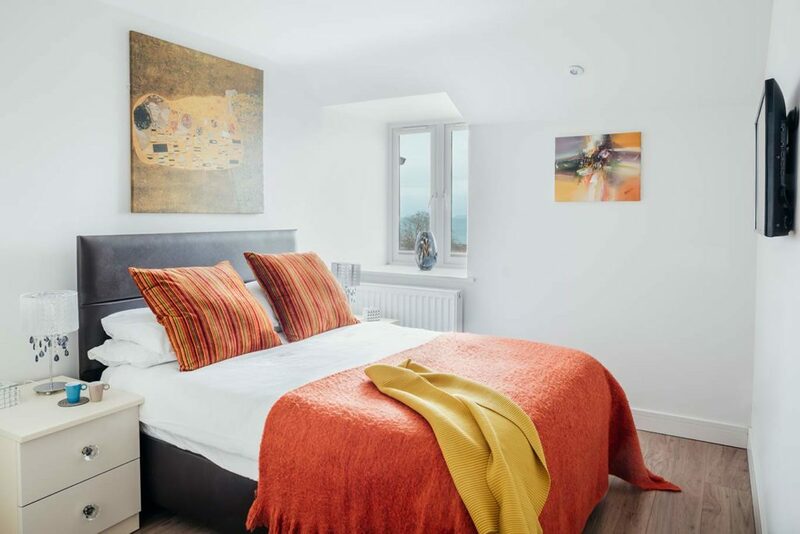 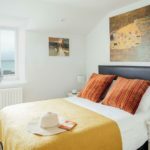 Two double bedrooms with splashes of colour, the master has a TV and both have comfortable beds. 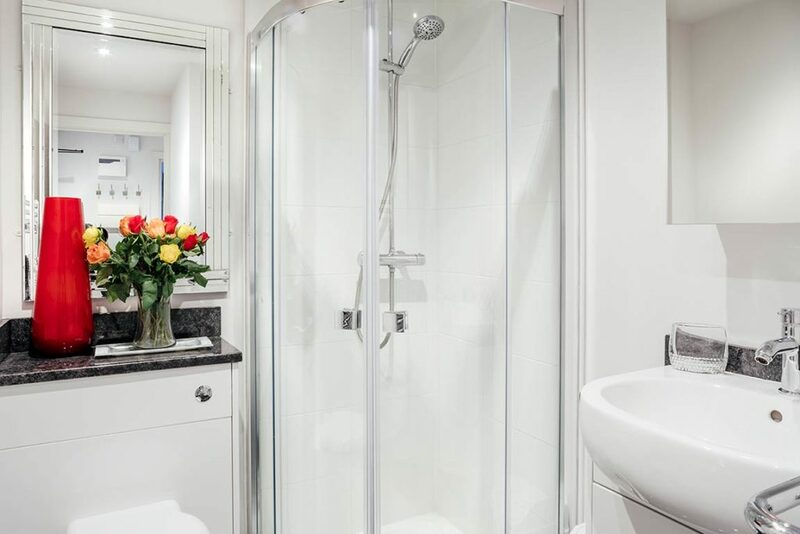 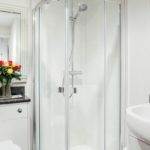 The shower room features heated towel rails, granite tops, toilet, basin and a good shower. 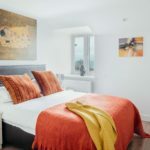 Guests will find the onsite car parking very useful, 10 Sunday School Court is handily located before the main one way system so day trips and jaunts in the car are much easier. 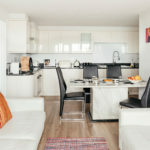 Cafes, bars, restaurants and shops are all nearby. 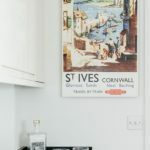 We’d recommend The Cornish Deli for brunches, it’s 30 seconds away, I Should Coco for awesome locally made chocolates and the farmers market on a Thursday for topping up on local produce. 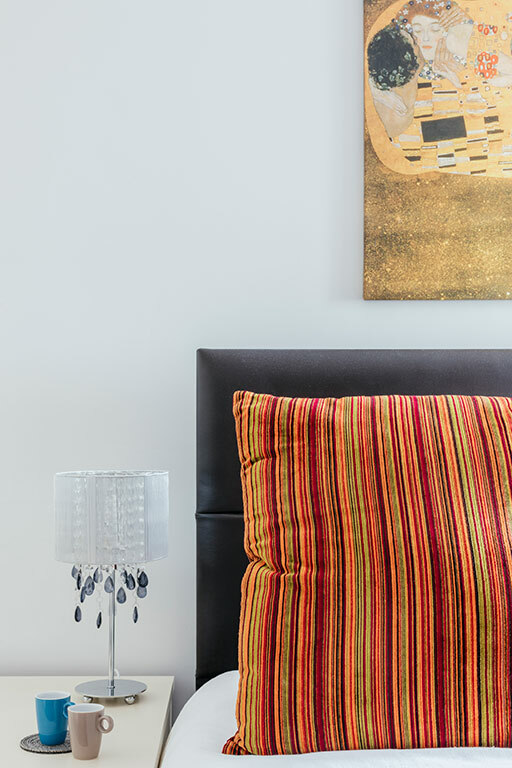 All are less than a 2-3 minute walk away. 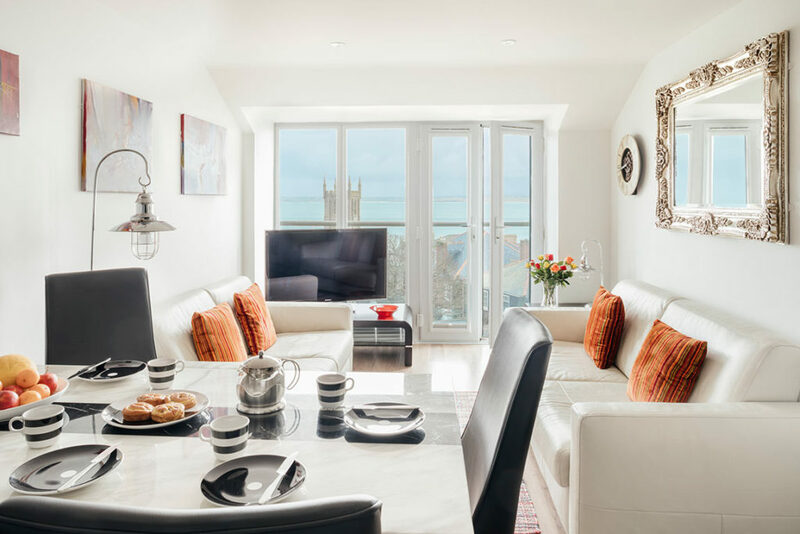 Porthminster Beach will be the closest of St Ives main beaches, just a 5-6 minute walk away you’ll find white sands and clear blue waters in this generally sheltered bay. 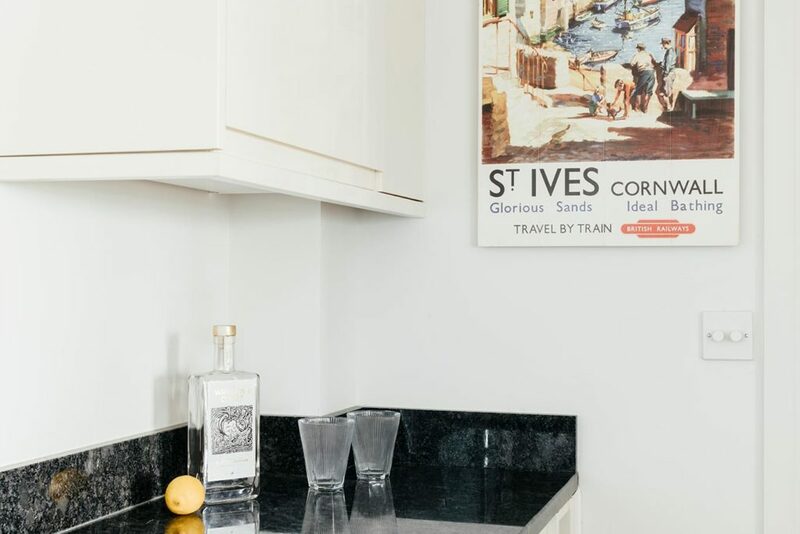 It’s lifeguarded in summer and is also home to St Ives Watersports and one of the best restaurants in town, Porthminster Beach Cafe.